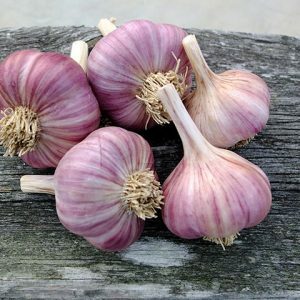 Marble Purple Stripe is a sub group of Purple Stripe garlic. 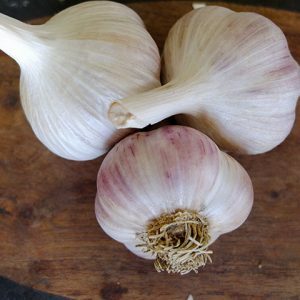 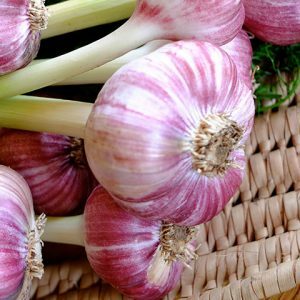 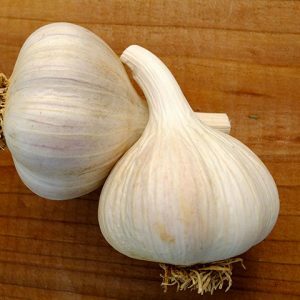 Those garlics usually have a symmetrical clove structure, and between 4 to 7 plump cloves. 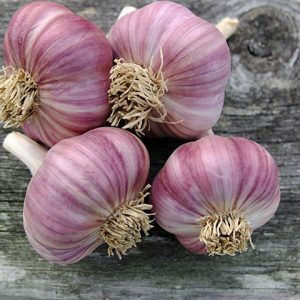 They have easy to peel clove wrappers, which are a stunning purplish colour.